Building good credit can be difficult. Your credit score is the result of a series of actions over a period of time rather than just one big decision. Small, consistent decisions can help you build your credit from scratch or rebuild it from a negative credit history. 35% of your score is payment history. Consistent, on-time payments help build your credit. Missed or late payments can stay on your credit record for 7 years. 30% of your credit score is calculated from your credit utilization. You should aim to use less than 30% of your credit line. If your credit limit is $1000, you should use no more than $300 at a time. If you carry balances on credit cards, work to pay them down. Having balances, especially across multiple cards, can negatively impact your credit. 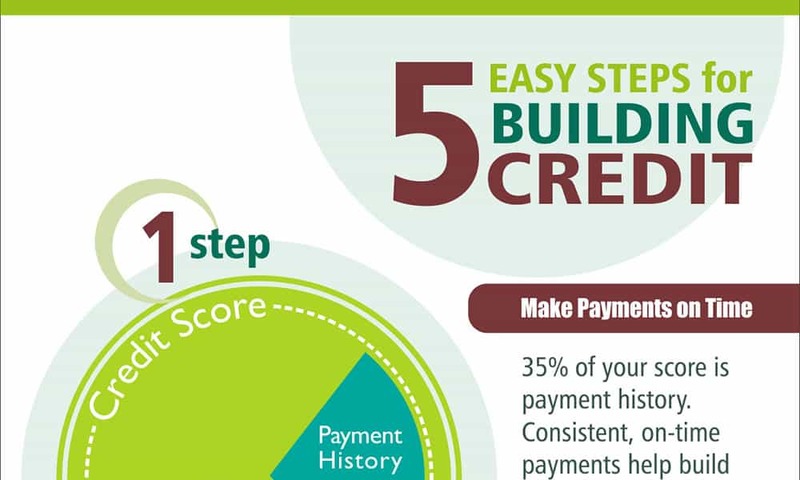 Length of credit history makes up 15% of your credit score. Lines of credit that have a good credit history can help your credit immensely. If you close those accounts, your credit history is cut off. Every time you apply for a loan (ie: credit card, mortgage, car loan, etc. ), an inquiry to your credit is made and that lowers your credit score a few points. When you are looking into large loans like a mortgage, you will make multiple applications, but only end up with one loan. All applications within a 14-day period will count as just one application and will only lower your score one time. There are many industry credit scores, but the FICO score is the most common. Employers often use credit to help determine how responsible you are. A bad credit score can keep you from getting that job. Good credit indicates you can handle loans. With a very good or excellent credit score, you will be able to get a mortgage loan at the best rates (costing you less money over the life of the loan). Landlords will check credit to see how much of a risk you will be a as a tenant. Because lower credit scores indicate stretched finances or late payments, applicants with good credit scores are more likely to get the apartment. With good credit, you will be able to get a car loan. With excellent credit, you will be offered the best rates by lenders. Poor credit can cause delays when signing up for new phone accounts or utilities in a new location. Good credit indicates that you are responsible with loans and companies will be willing to give you more loans or extend more credit to you in the future.